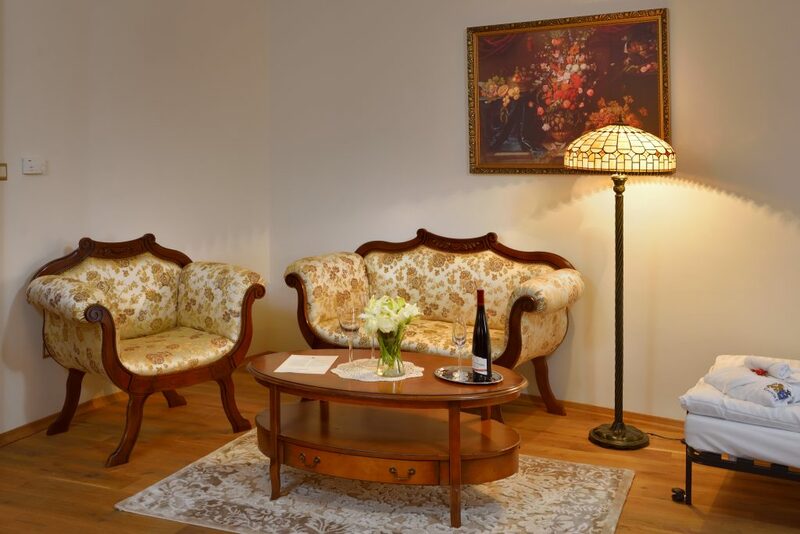 In the castle hotel Galicia Nueva four castle suites are situated. 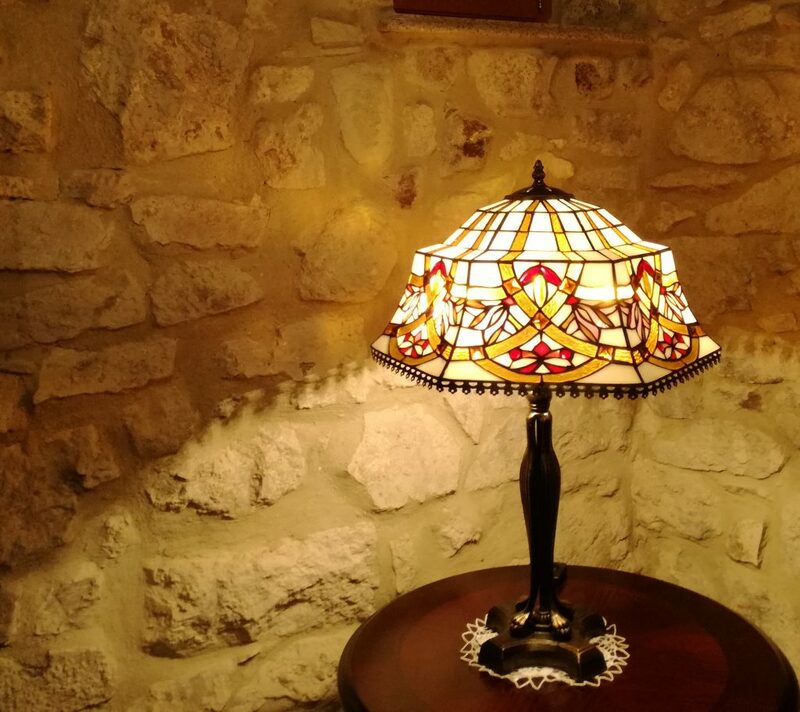 Two suites, being found on the highest floor of the rear castle towers, are furnished in country Provençal style. 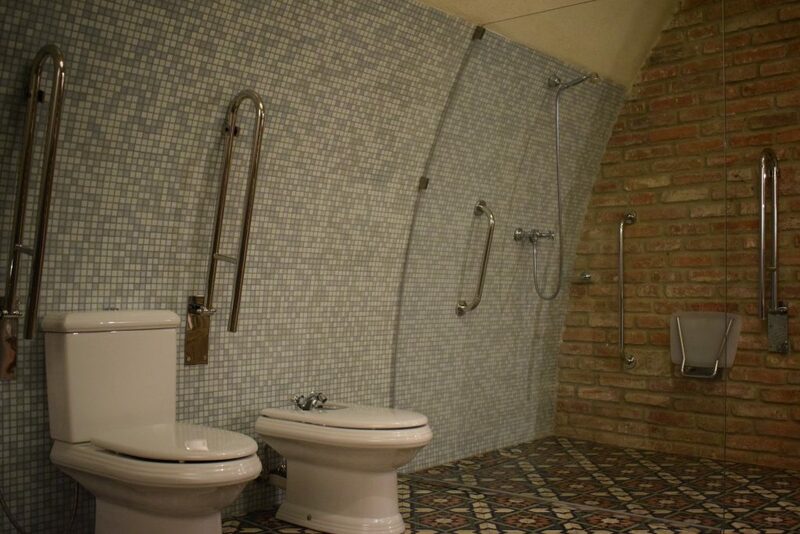 Further two castle suites are found in tight proximity of the space of wellness and the Nicolaus tavern. 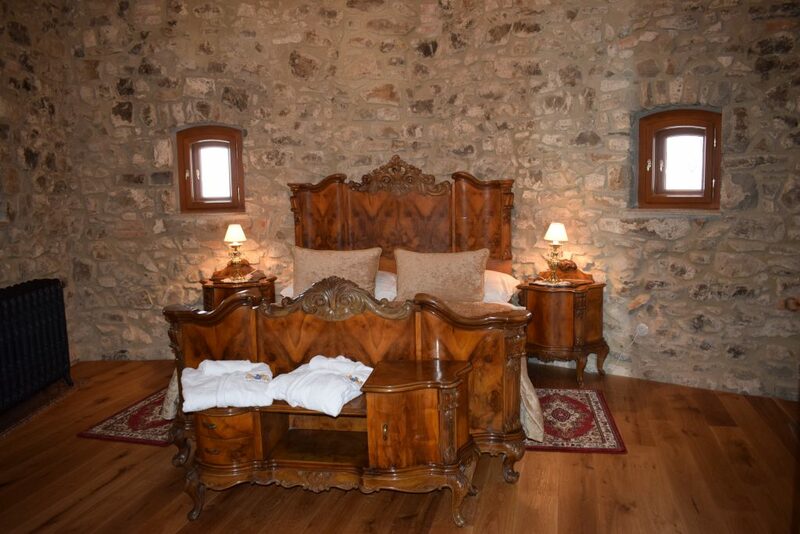 They are characteristic by traditional huge stone walls and the bedrooms of these suites are located in the castle towers. 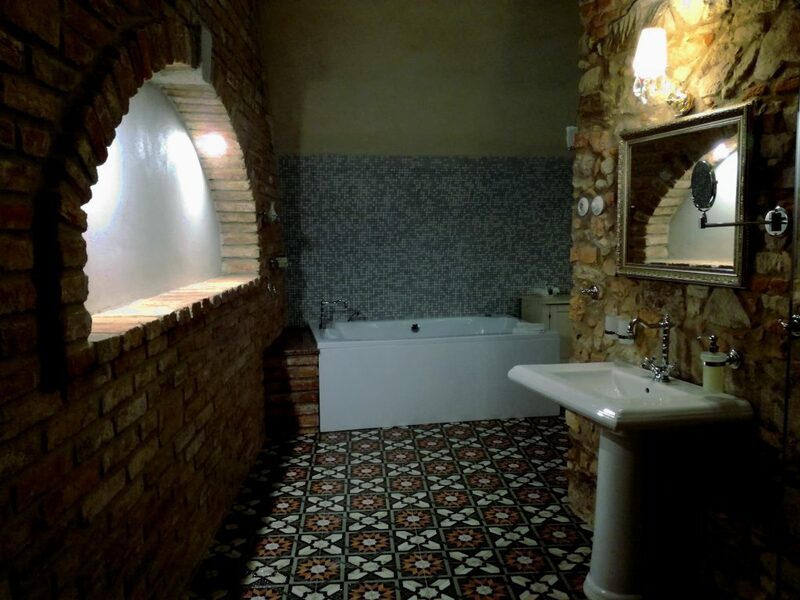 The bathrooms offer an attractive historicizing style of furnishings with utilization of ceramic lining. 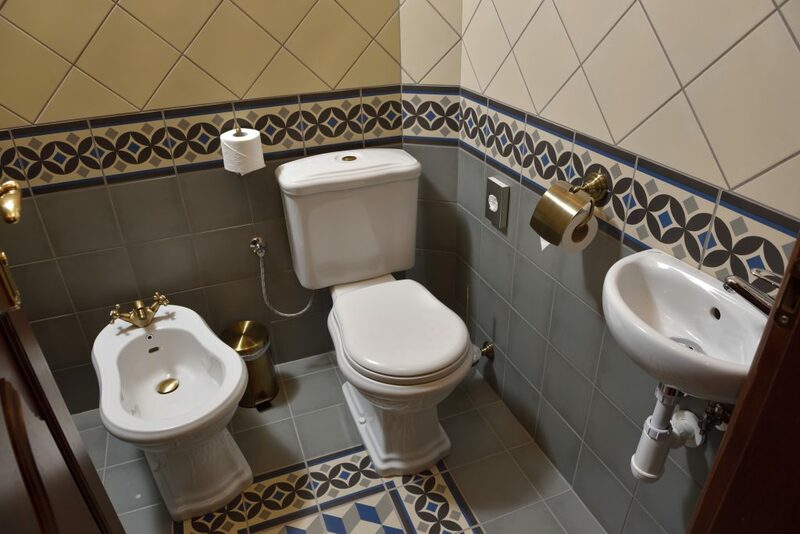 Every suite is equipped with matrimonial bed, bathroom, bathtub, toilet, bidet and three apartments also by a shower cubicle. 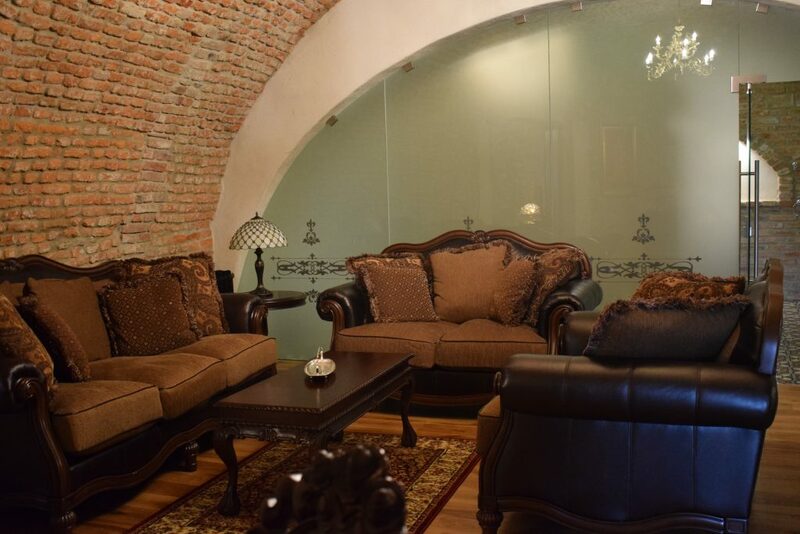 The wifi interconnection to the Internet, telephone, TV-set, mini-bar, safe and work table are available to the guests. In case of interest there is a possibility to ask for two extra beds or for a baby bed. 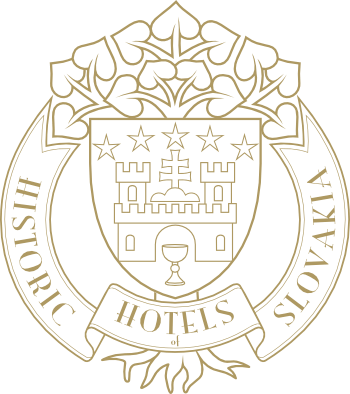 The breakfast in Rosalia restaurant, mineral water, welcome drink and the entry into wellness (swimming, pool, hydromassage tub, steam sauna, Finnish sauna, relaxing room and fitness) are provided free of charge to the accommodated guests. 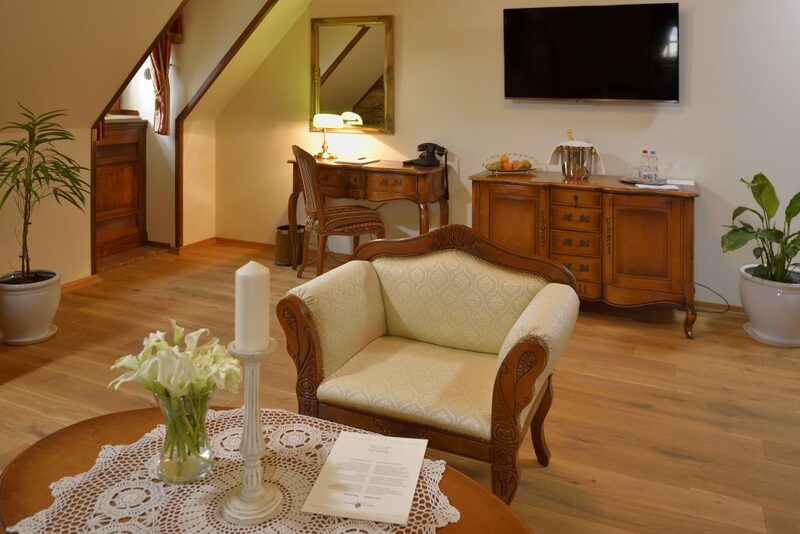 The above-mentioned is provided also to the guests accommodated on the extra bed. 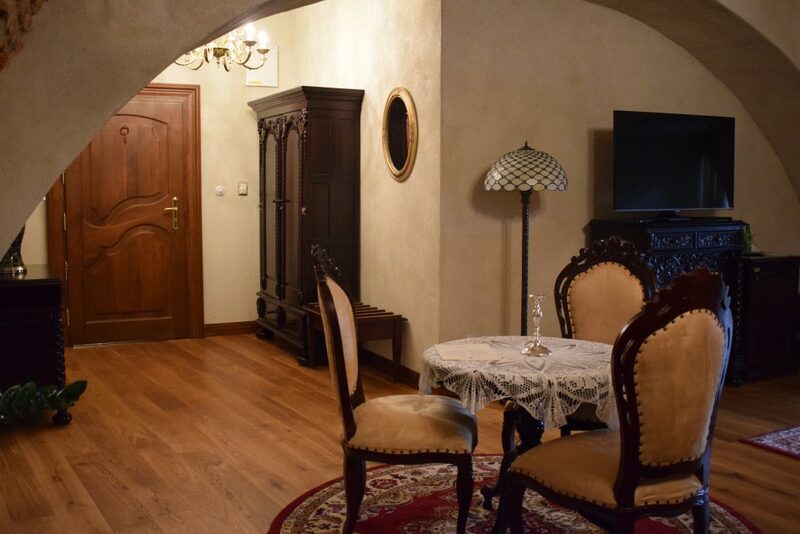 The VLASTA castle suite is partially adapted for immobile guests of the castle hotel. 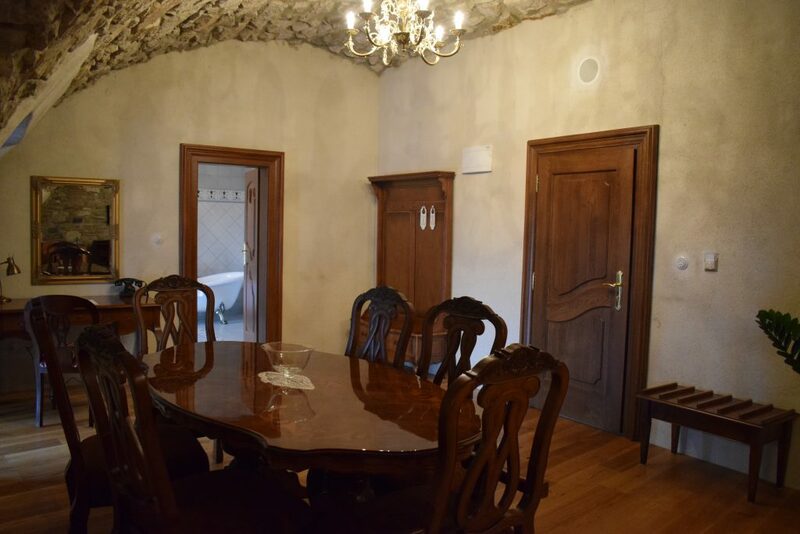 It is situated in tight proximity of wellness and wine tavern and also the castle restaurant and hall are quickly and without problems accessible. 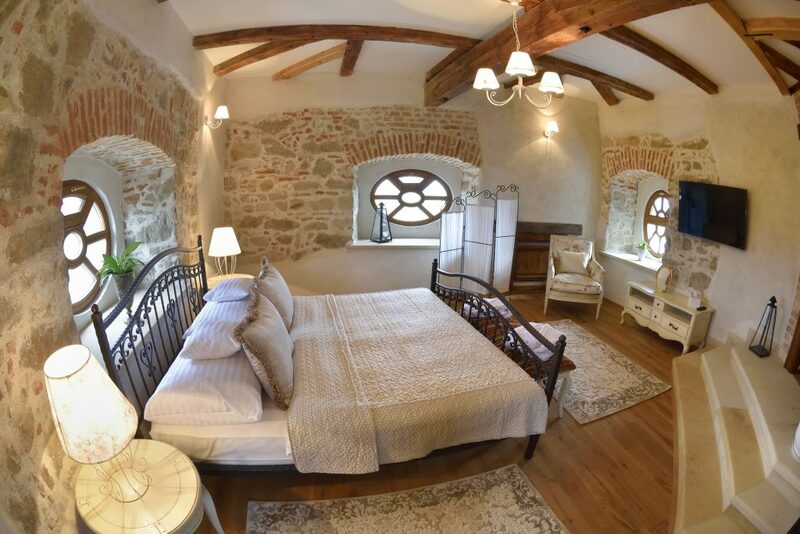 The VLASTA castle suite is found in the right part of the frontal wing while the bedroom of suite is situated in the south-east castle tower. 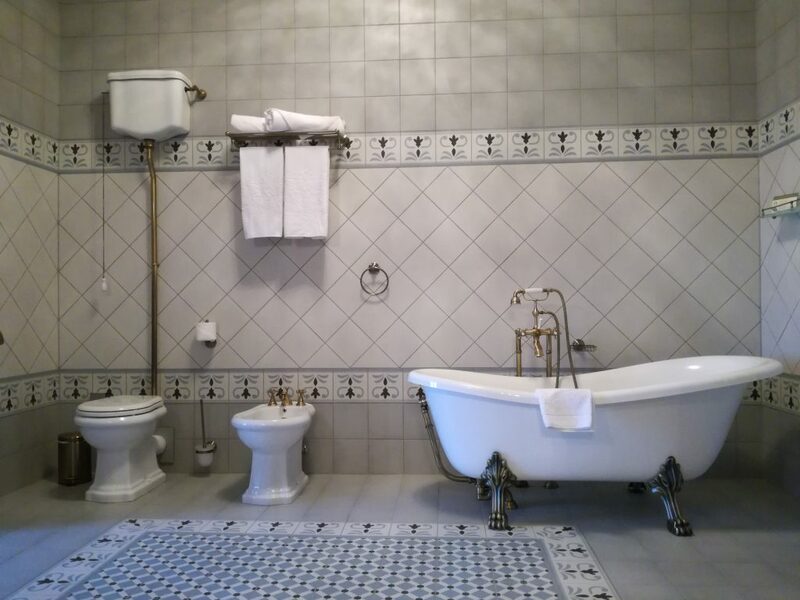 The suite belongs with its area to the largest suites of the castle hotel and it consists of entry part, dayroom with comfortable and large seating, bedroom and bathroom with whirlpool tub. 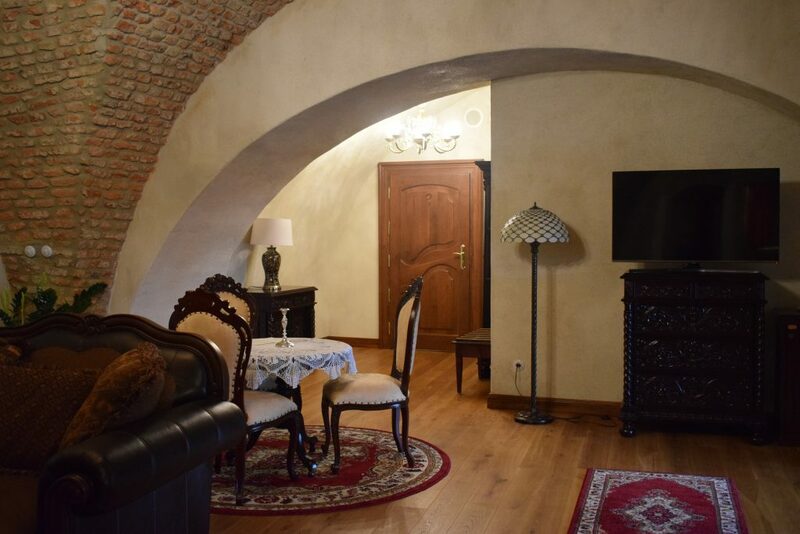 The character of the castle suite is unoverlookable and it is highlighted by original historical castle walls, stone and brick walls and arched ceiling vaults. 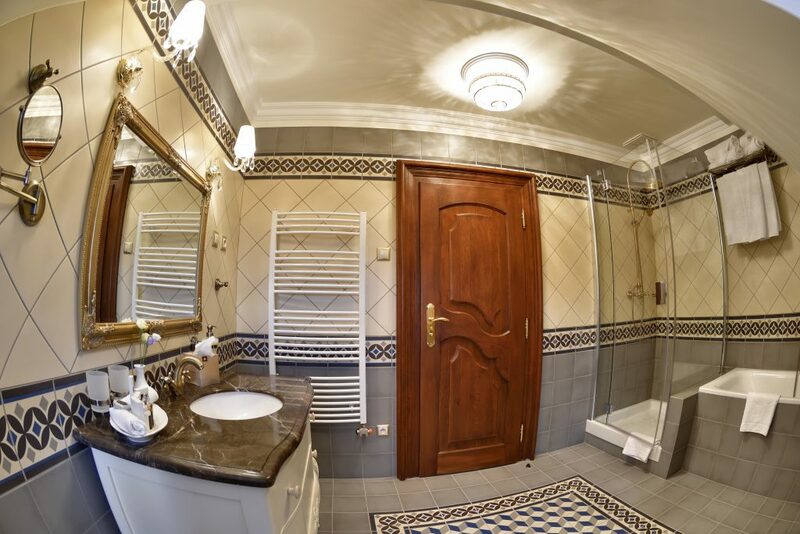 The suite is situated in tight proximity of wellness and therefore it is sufficient for the visitors accommodated in this castle suite to pass several steps and in a couple of seconds they can spoil themselves relax in whirlpool bath, saunas or to have a swim in swimming pool. 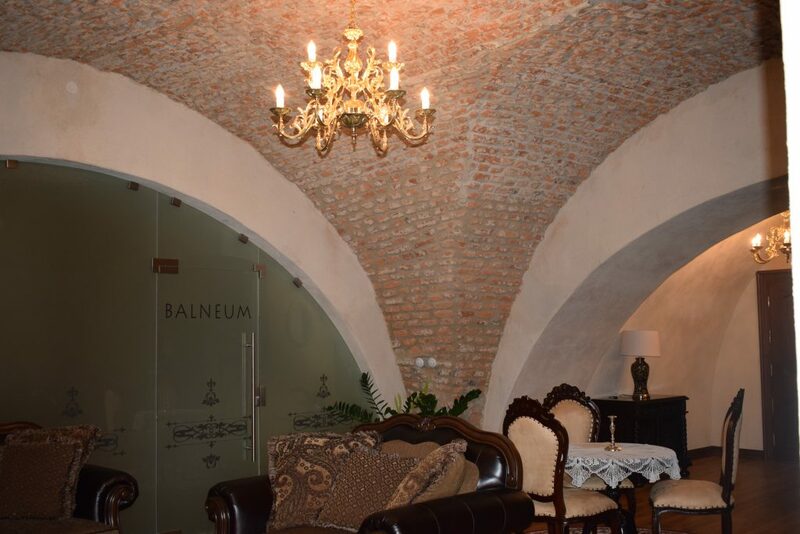 Also the castle wine tavern is found on the same floor like the suite and also the restaurant, castle hall and hotel reception are quickly and easy accessible. 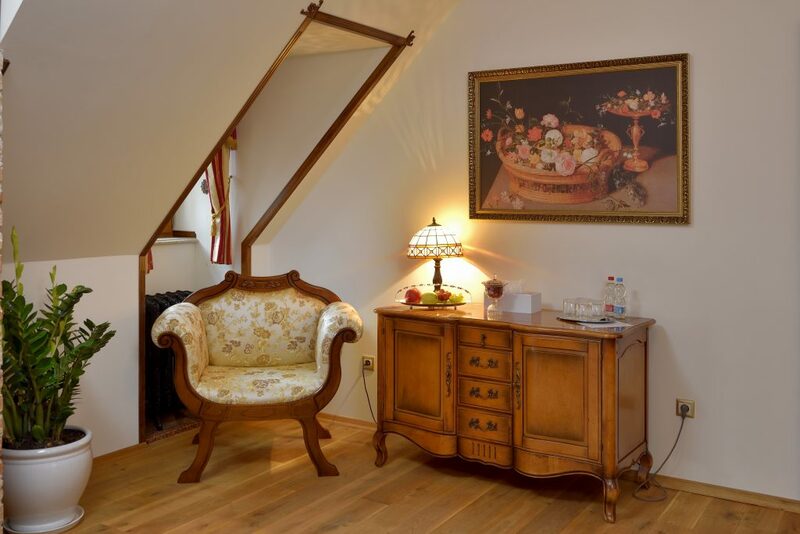 At the same time the suite is, thanks to its position in the border part of the castle wing, an ideal place to savour the atmosphere as in a real royal chamber. 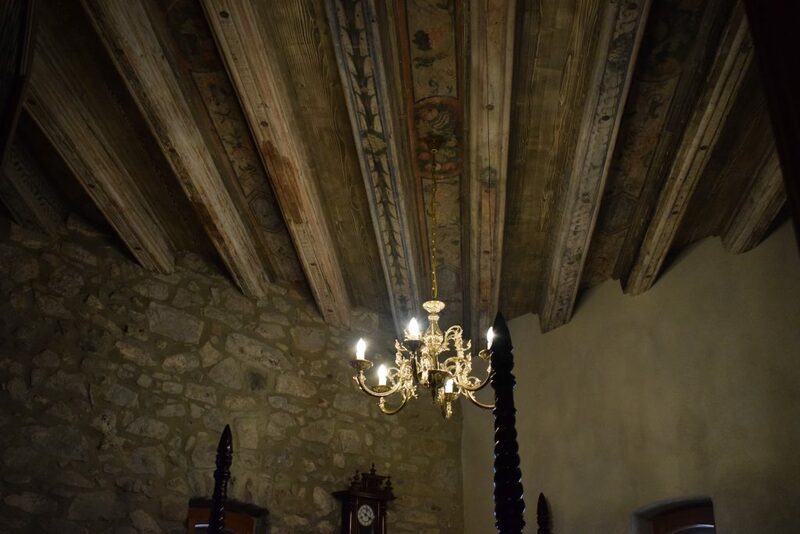 The renovated original beam ceiling with beautiful paintings reminds the history of castle and the life of its inhabitants. 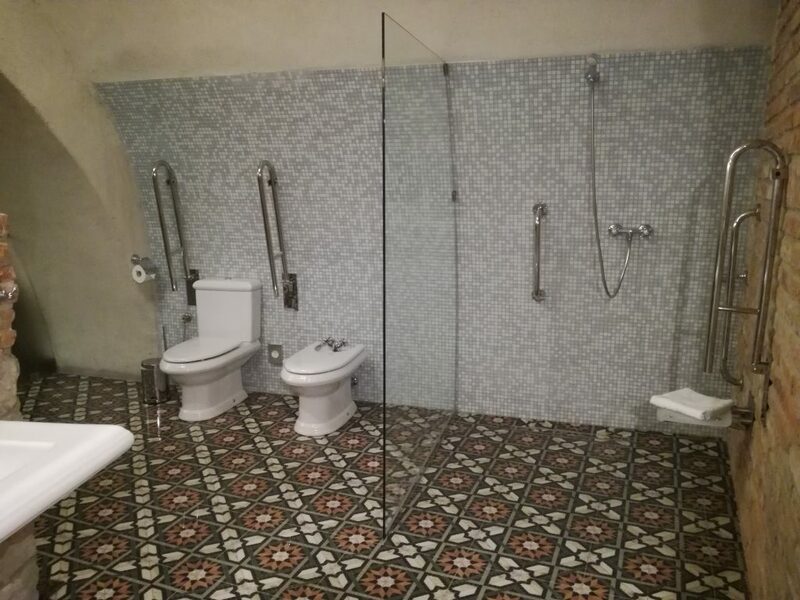 In regard to good accessibility of public spaces for the hotel guests the equipment of the suite is partially adapted for immobile guests. 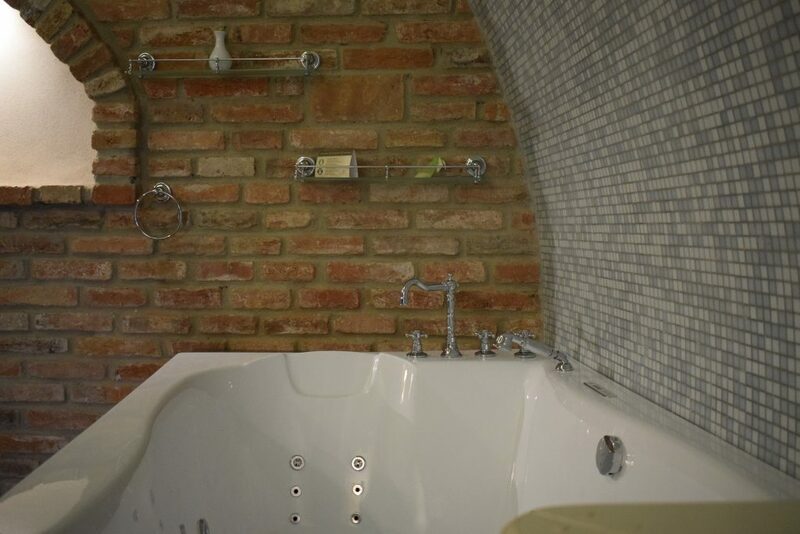 For more information please contact the reception and see over a photo gallery of the castle suite. Our personal will try to find the most proper and suitable solution of your needs and requirements. 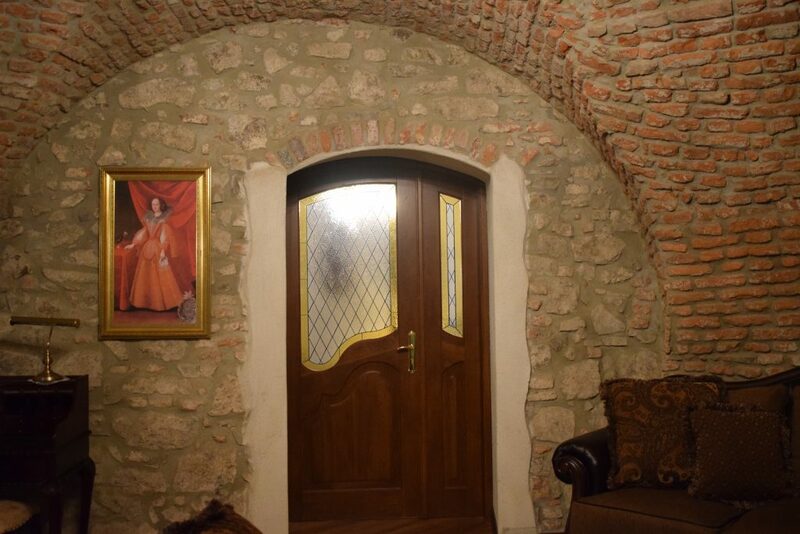 The MARTIN SAMUEL castle suite is situated in central part of the north-east wing and in eastern castle tower with an outlook of South-Slovak hollow. 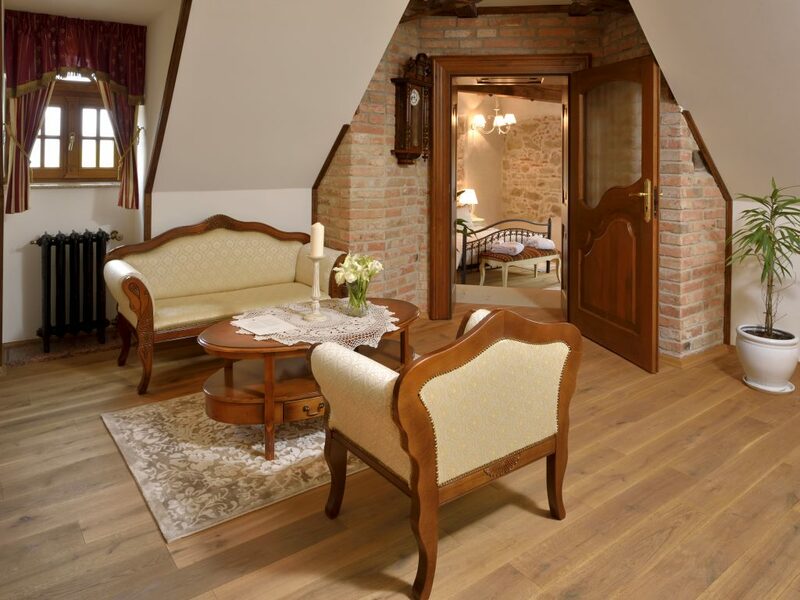 The suite belongs to the largest suites of the castle hotel and it consists of an impressive stone bedroom with a wooden beam ceiling, large bathroom and of really royal dayroom, in which a comfortable seating with conference table and seating with negotiating table are found. 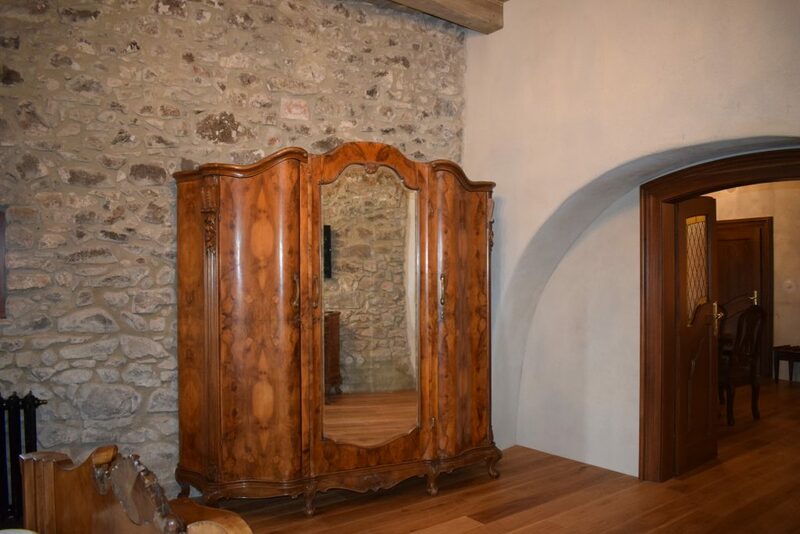 The castle character is brought to mind by huge stone walls, imposing arched vaults, impressively set-in window and historical furnishings. 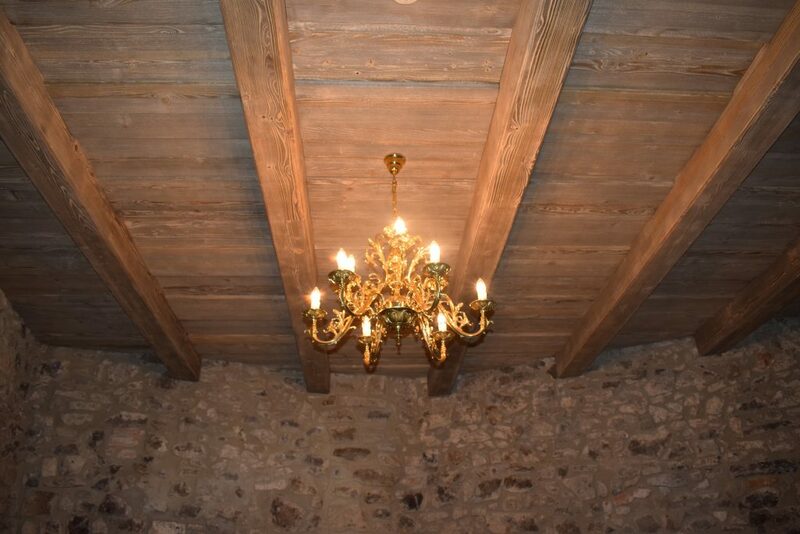 The castle atmosphere is made complete by an suite lighting with heavy brass chandeliers. 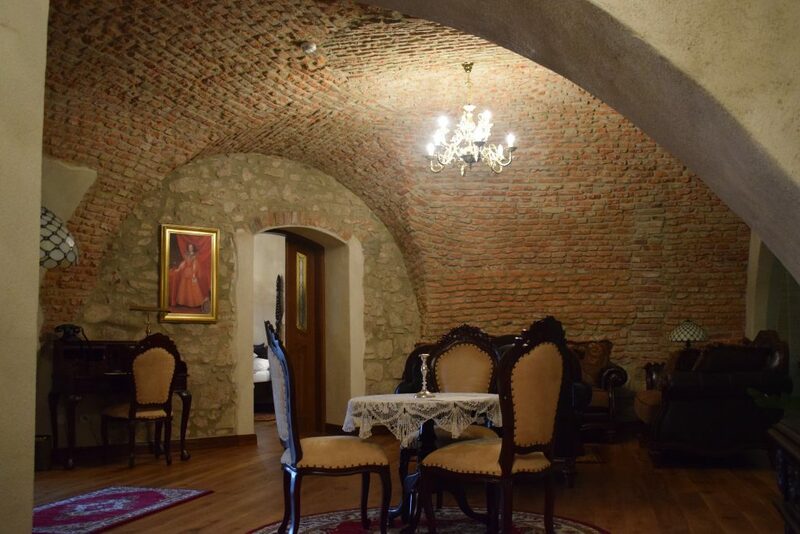 On the same floor like the suite also the castle wine tavern is found and the restaurant, castle hall and hotel reception are quickly and easy accessible, too. 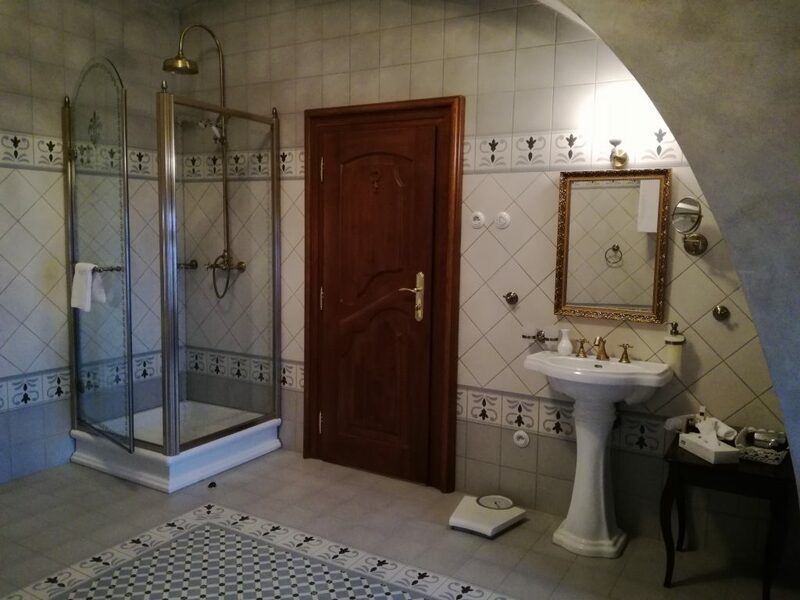 The suite is situated in tight proximity of wellness and therefore for the visitors accommodated in this castle suite it is sufficient to pass several steps and in a couple of seconds they can spoil themselves relax in whirlpool bath, saunas or to have a swim in the swimming pool. 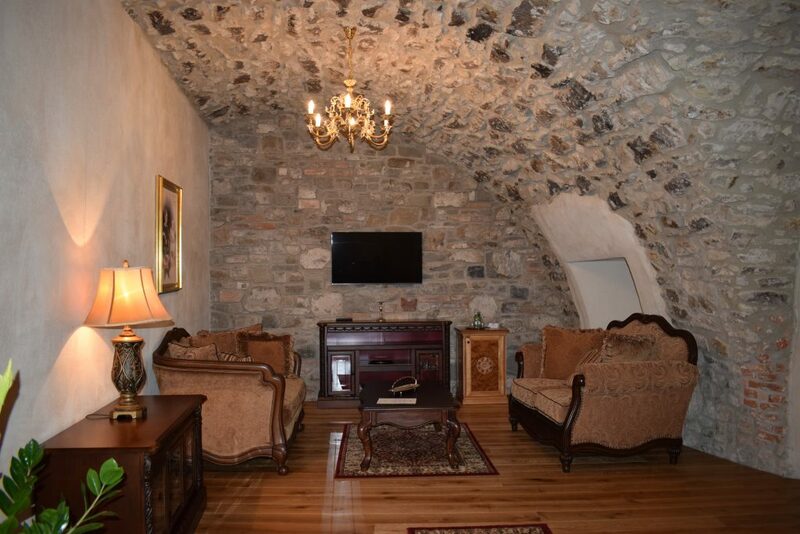 The ALENA castle suite is situated on the highest floor of the north-west castle tower. The suite is found over the Good Shepherd chapel and at the top of tower there is a gold-plated cruise. 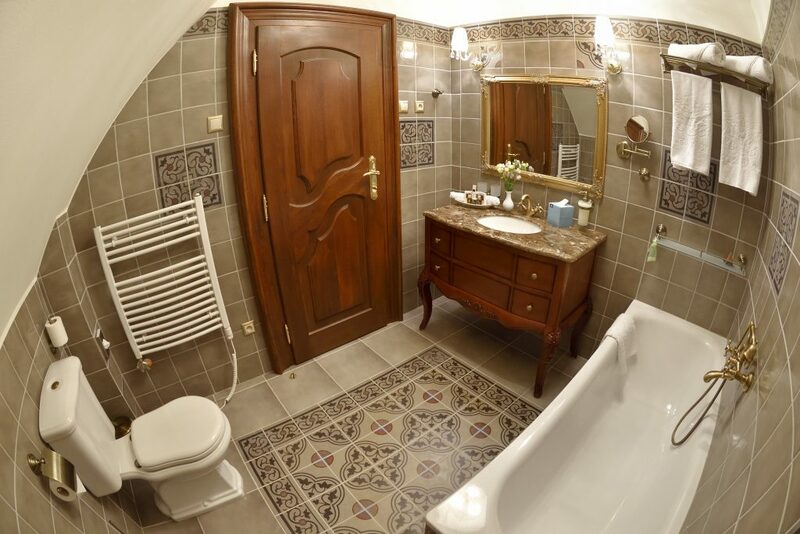 The suite consists of entry lobby, dayroom, bedroom located in tower part, separate toilet where are the WC and bidet and of separate bathroom in which a tub also shower cubicle are situated. 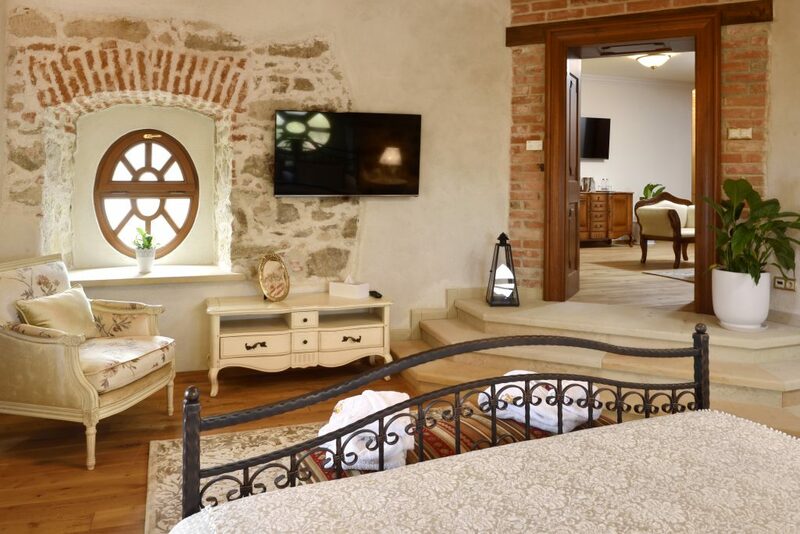 The suite is furnished in country Tuscan style which offers the space for relax and at the same time it fulfils desire for connecting the culture with nature. Cosiness of dayroom is underlined by oblique ceiling walls, wooden floor and furnishings of natural materials in pleasant undisturbing colours. 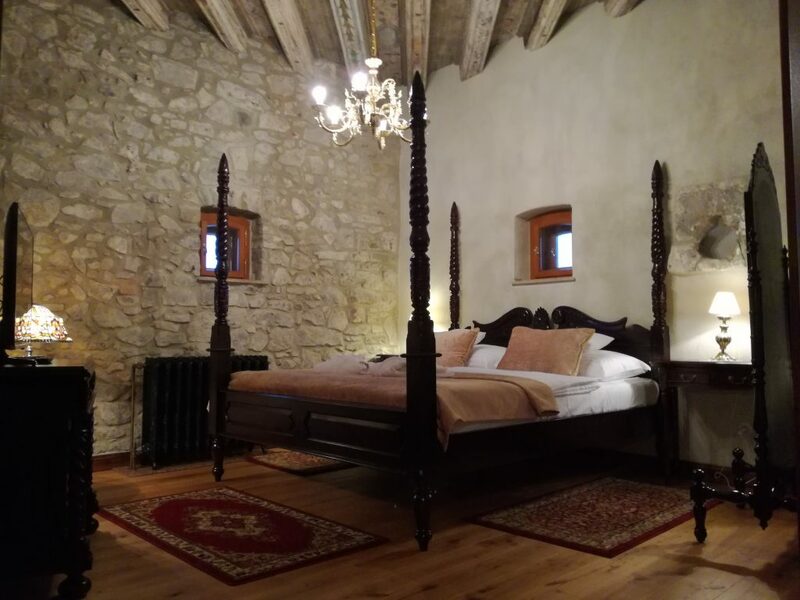 The suite bedroom is lying in the north-west corner castle tower and its natural character is underlined by strengthened tie beams, wooden floor, stone walls and by the original windows set in romantic window arcs with brick vault. 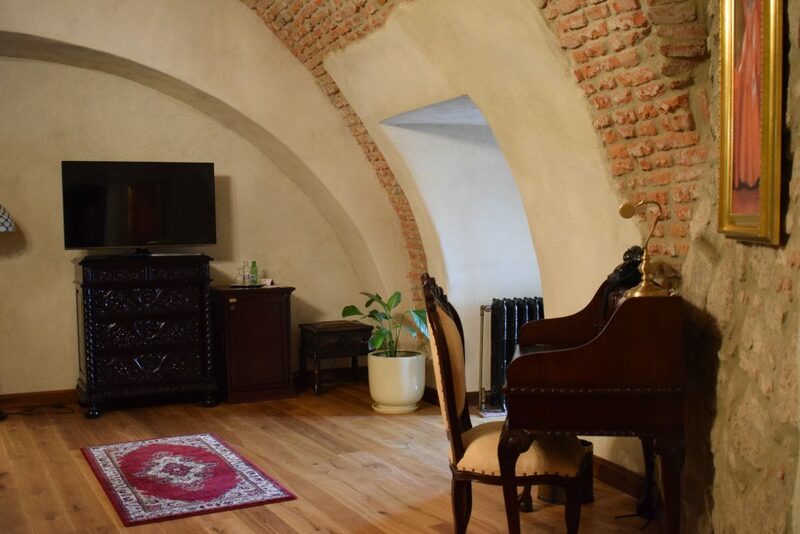 In this tower the most of original beams in satisfying state were preserved therefore they could be purified during the reconstruction and they are in good condition in the suite. 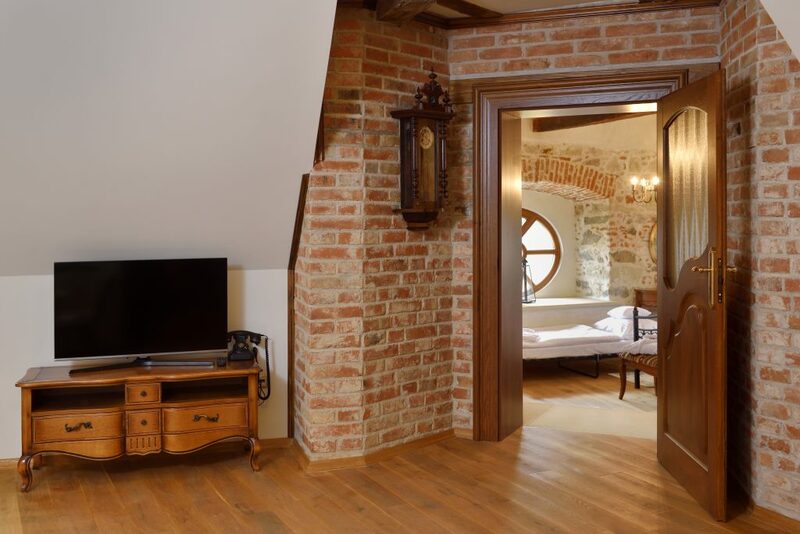 The windows placed at all sides of bedroom walls secure a perfect lightness of the room and at the same time they provide a beautiful outlook of surrounding territory of the South-Slovak hollow, Revúcka vrchovina highlands on the north and of the Ostrôžky mountain range on the West. 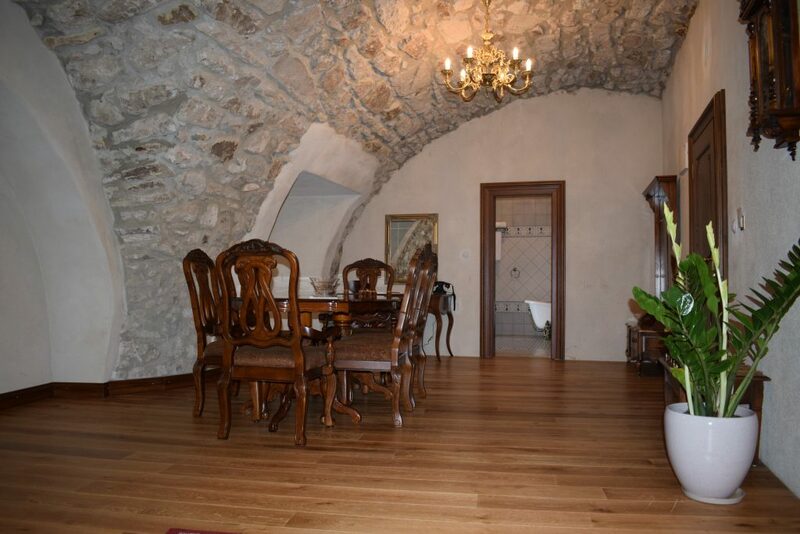 The DIANE DRORY-FORGACH castle suite is situated on the highest floor in the extreme part of the north-east wing and it pass into the north castle tower. 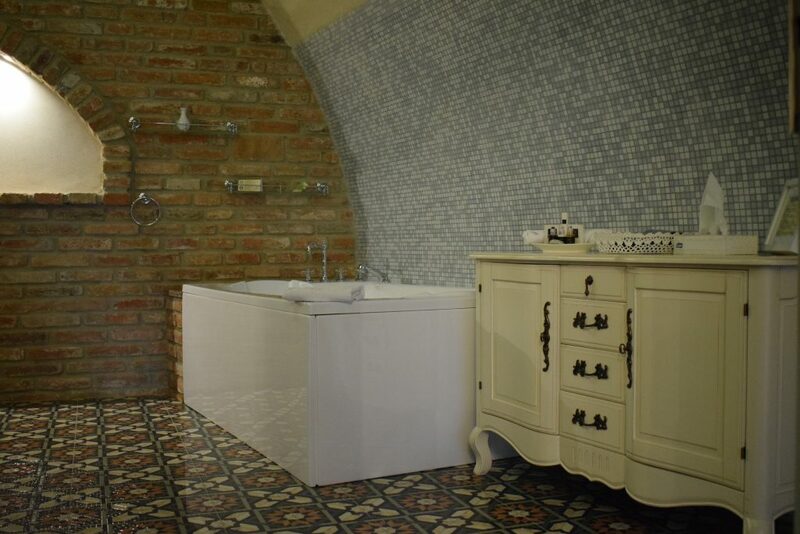 The suite consists of entry lobby linked with dayroom, of bathroom and bedroom situated in the tower part. 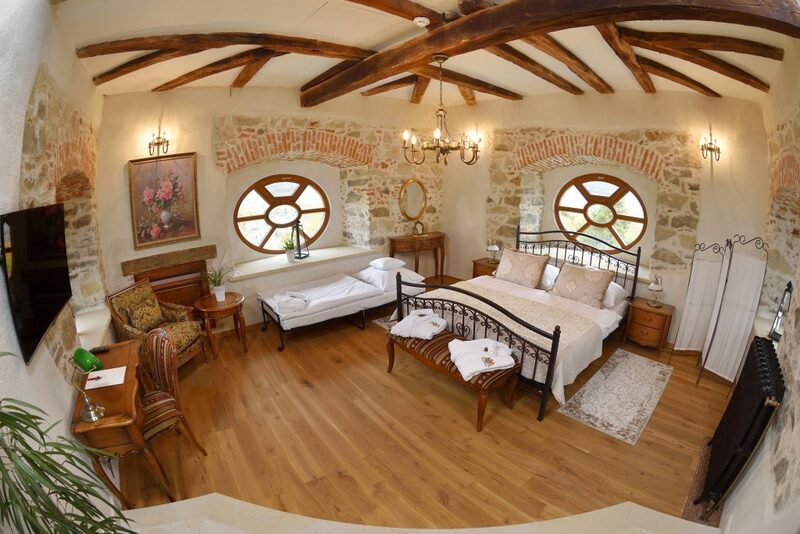 The suite is furnished in the country Provençal style, it has lower oblique ceilings, wooden floors, delectable smaller windows and furnishings of natural materials in pleasant light colours. The pleasant atmosphere of the dayroom is intensified by the light penetrating through smaller interestingly set-in windows. In the dayroom there are a cosy seating with conference table, work table and furnishings in light colours, suitably fitting into the light space of the suite.